Hi friends! Hope you’re having a great week! 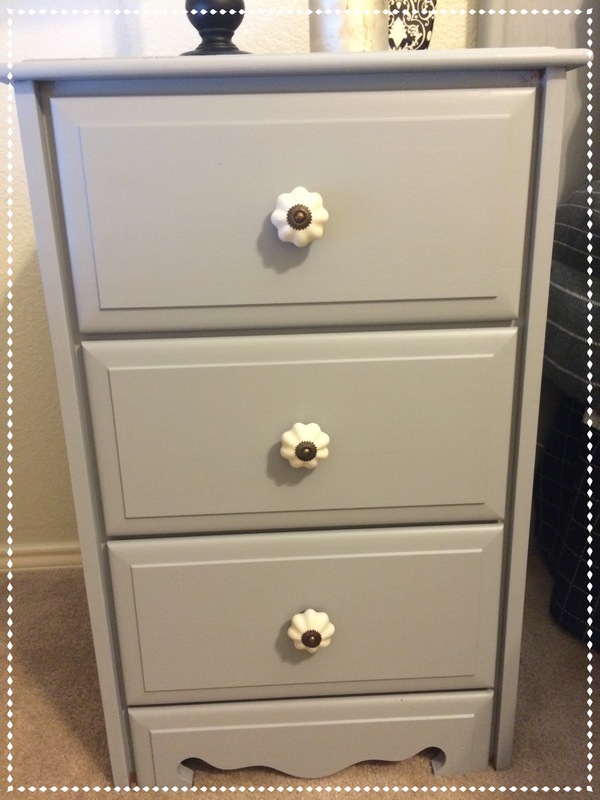 I’ve been busy getting back into the teaching and school routine, but wanted to share one of the ways I used paint I already had to breathe new life into bedroom furniture. Even though I would love for each of our rooms to look like a two-page spread in a home decor magazine, I have to face reality sometimes. The reality; the bedroom furniture my husband grew up with was in a spare bedroom upstairs in our house. 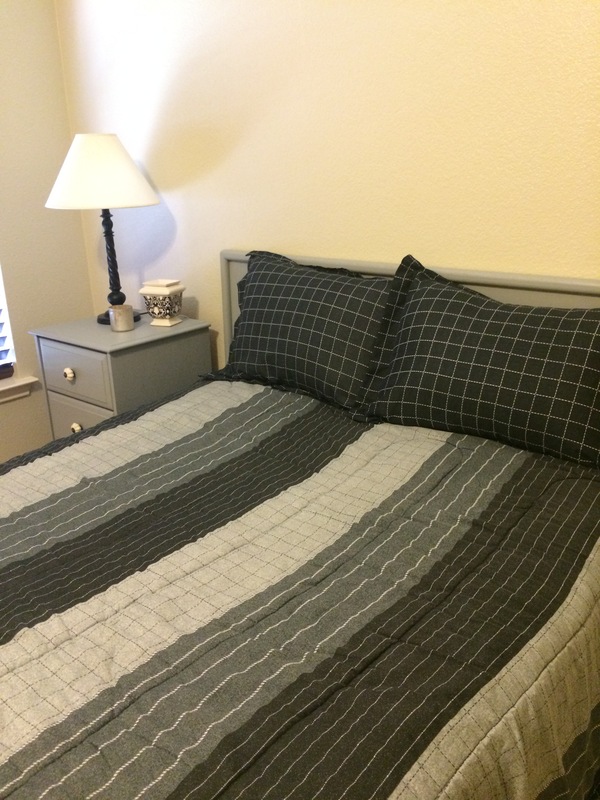 It still had his bedding from his days living as a bachelor so naturally the bedding was manly (gray, black, white). 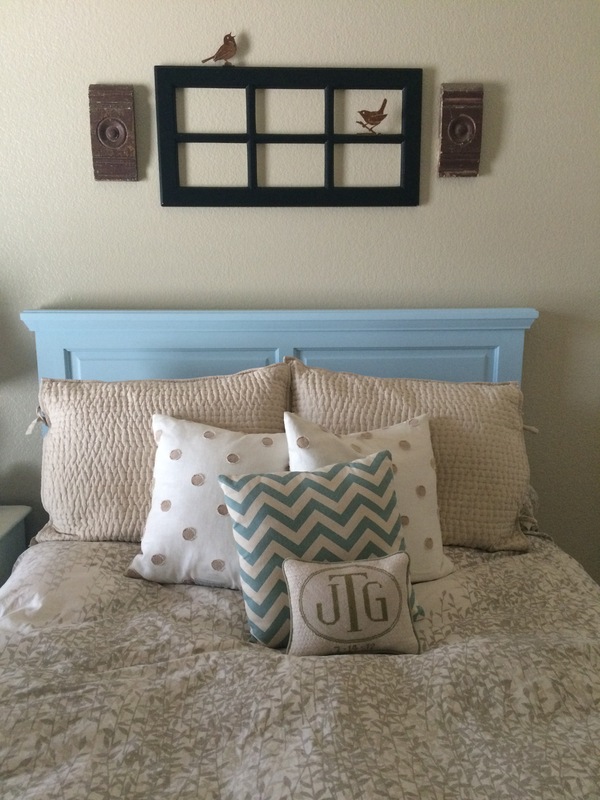 I knew painting the headboard and side table gray would give new life to the bedding and I already had gray paint from our guest bathroom vanity, perfect! Here is the room completed! Fresh look! Now, for wall art above the bed. As I’ve mentioned in other posts, using paint with a primer in it makes for a quick and easy painting process. 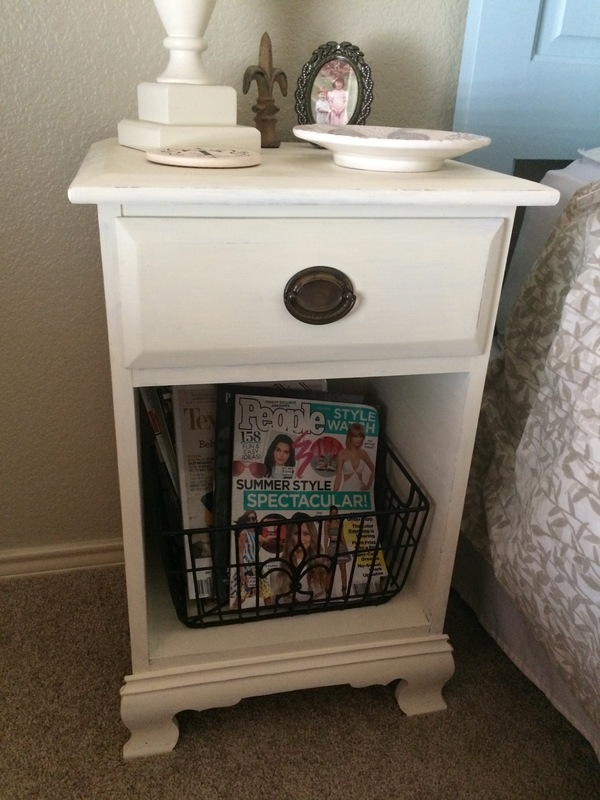 Once the paint dried I chose new knobs at Hobby Lobby to update the bedside table. 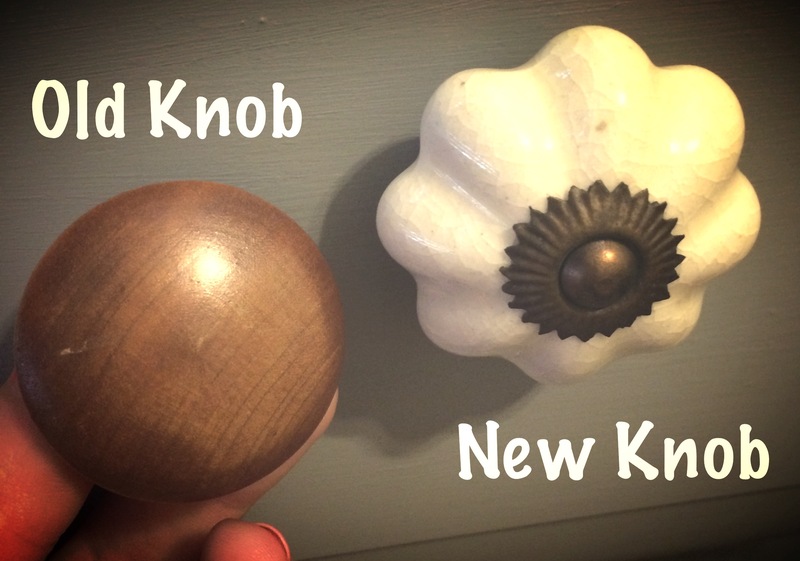 New knobs and a fresh coat of paint; both small and inexpensive ways that I made over the furniture in these rooms. 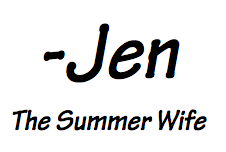 Sometimes a fresh coat of paint (that you already have) is all it takes! Do you find you have to prep the furniture a lot first (sanding, etc.) 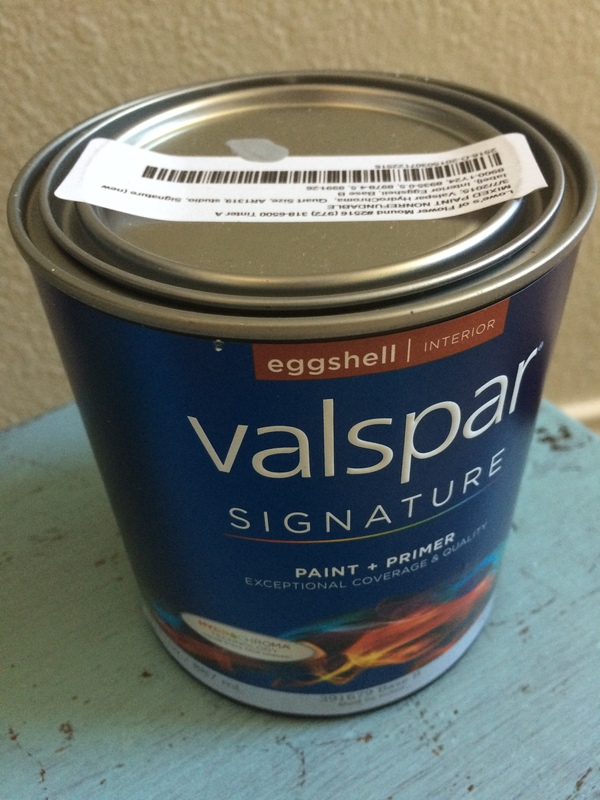 to get the paint to stick? 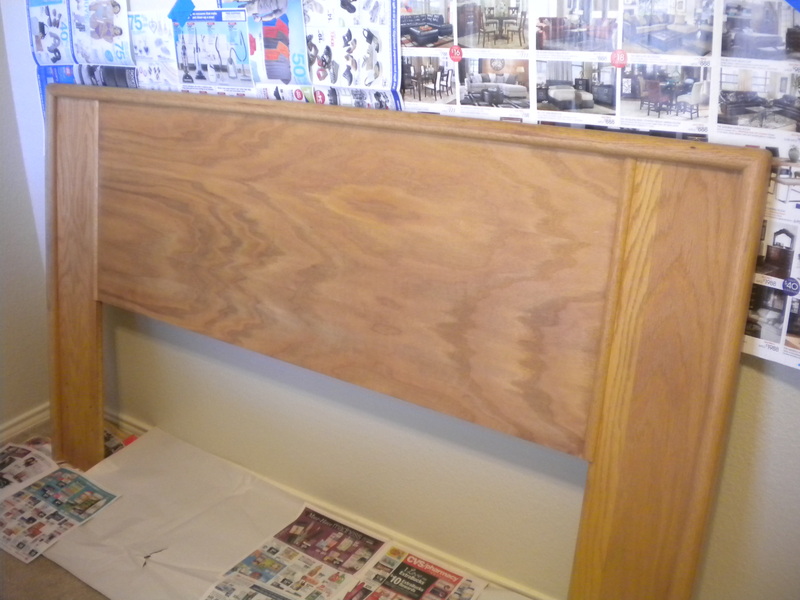 That’s my biggest draw back to refinishing anything! Very good to know! Your cute updates have inspired me to try to find a dresser to refinish for our master – we need more storage! !